An Italian styled designer shower column, manufactured in solid brass with a chrome finish for superior quality and longevity. 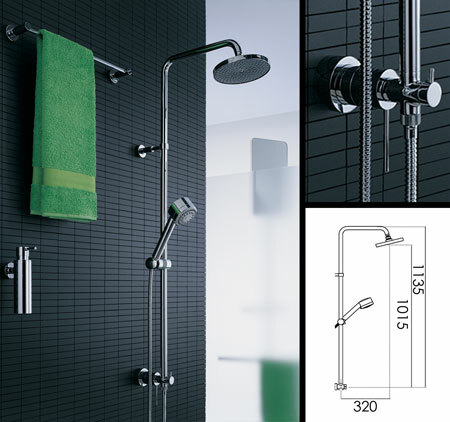 Each shower tower has 2 multi functions operating a 200mm round shower head and an adjustable handheld shower head which is height adjustable. A minimum of 2 bar water pressure is required to operate this column. * Solid brass & chrome construction. * 2 bar water pressure required.